The computer simulations used to design, optimize, test or control a vast range of objects and products in our daily lives are underpinned by finite element methods. Finite element simulations use a mesh of geometric shapes—triangles, tetrahedra, quadrilaterals or hexahedra, for instance. These shapes can be combined to form a mesh that approximates the geometry of a model. For example, meshes can be used to model the human knee in biomechanics simulations, create computer-animated movies or help developers bring products, like airplanes and cars, from concept to production more quickly via better prototypes, testing and development. But a problem arises with finite element meshes, especially when they’re put into motion during a simulation: The shapes can tangle and overlap. The KU researcher said the use of a tangled mesh in a finite element simulation can lead to inaccurate results—with potentially disastrous consequences in biomechanical design, product development or large-deformation analysis. 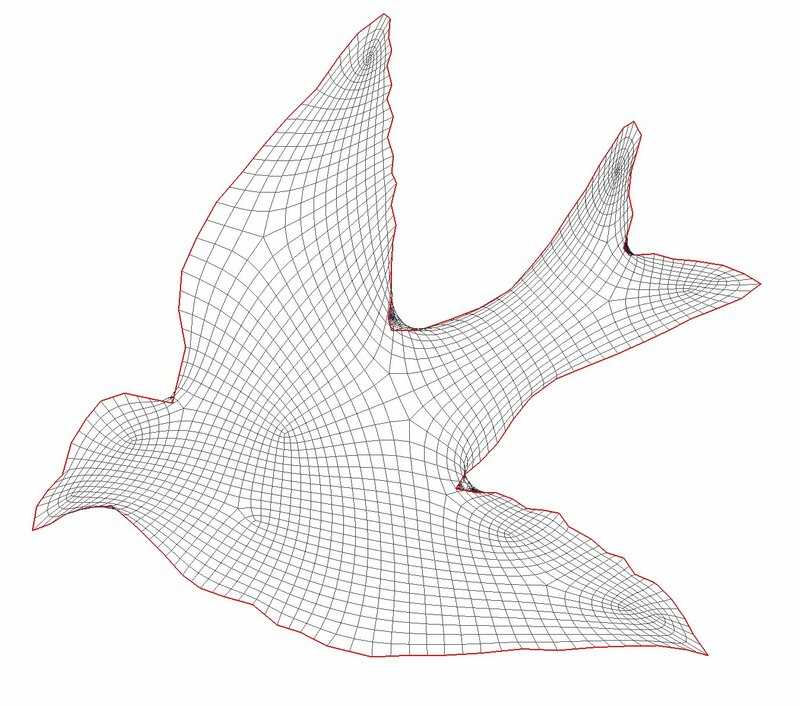 For years, researchers have pursued a solution to the tangled mesh problem, proposing solutions like re-meshing, meshfree methods and the finite cell method. But no definitive answer has yet been developed. With a new $250,000 award from the National Science Foundation, Shontz and her KU colleagues are working with a team at the University of Wisconsin-Madison headed by Krishnan Suresh, a professor of mechanical engineering, to explore new methods for addressing the tangled mesh problem. Suresh’s team received a similar $250,000 award from the National Science Foundation for their research. Shontz already has developed several promising untangling algorithms, but she said it has proven difficult to “completely” untangle a mesh. Working with Suresh, she said she hopes the collaboration might yield a breakthrough. Under the new grant, Shontz’s group will create new constrained optimization methods for mesh untangling to convert “severely tangled meshes into mildly tangled meshes.” In the meantime, Suresh’s group will hone the finite-cell method to ensure accurate finite-element solutions over these mildly tangled meshes. Among many biomechanics applications, the researchers hope their work could lead to improved untangling of finite element meshes used to model the brains of patients with hydrocephalus. In these patients, large ventricular displacements of the brain can be modeled with finite-element simulations—but the models often result in tangled meshes. As part of the work under the award, the investigators at KU and UW-Madison will exchange teaching modules in the form of prerecorded lectures to be used in graduate-level classes. Shontz will deliver lectures on mesh generation, smoothing, tangling and untangling to students at UW-Madison, while Suresh will provide lectures to KU students on geometric modeling and computational mechanics. The researchers will also develop a Design, Analyze and Print Workshop to be offered to middle and high school students on the campuses of the two universities. Graduate students also will receive support and training via the NSF grant.